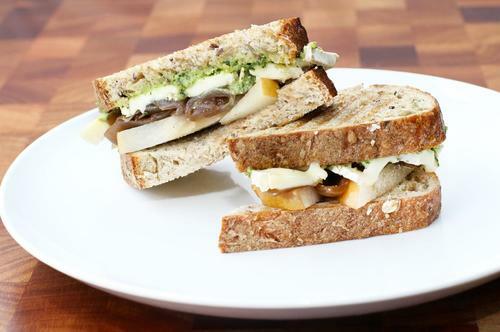 Hosui pear, grilled onion, basil pesto, brie, served on sliced miche lavain. Any allergies we need to be aware of? 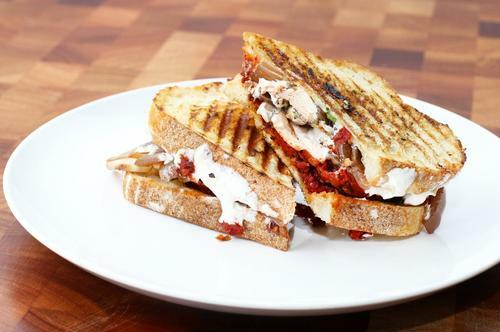 Petaluma chicken, Laura Chenel goat cheese, basil, sundried tomatoes, kalamata olive tapenade, grilled onion, and sliced sourdough. 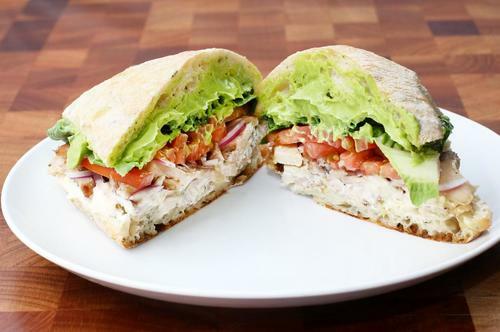 Hass avocado spread, garlic-citrus aioli, honey, red onion, tomato, little gem lettuce, grilled chicken, served on a rosemary foccaciette roll. 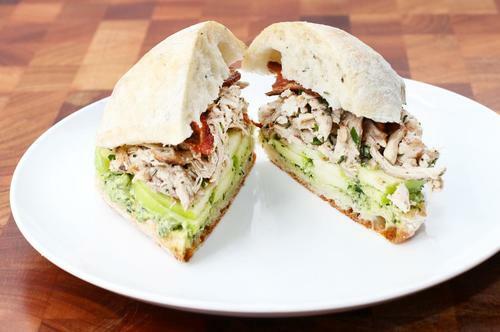 Pulled chicken, applewood smoked bacon, granny smith apples, and basil pesto, served upon a potato pepper roll. 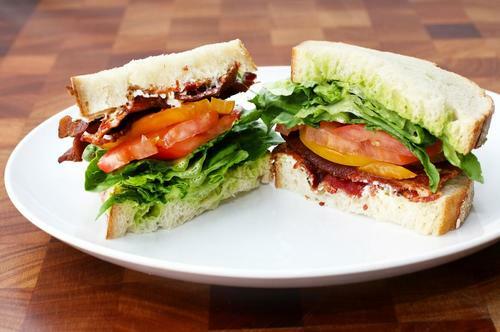 Applewood smoked bacon, garlic-citrus aioli, butter lettuce, heirloom tomato, Hass avocado spread, and sliced sourdough. 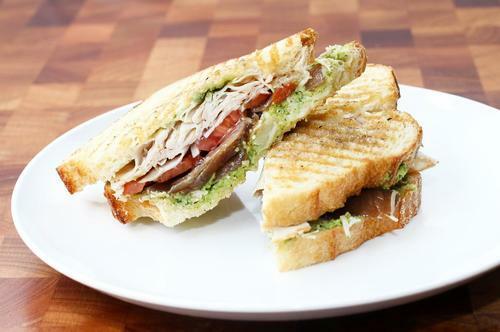 Spinach-artichoke spread, asiago cheese, tomato, grilled onions, and sliced sourdough. 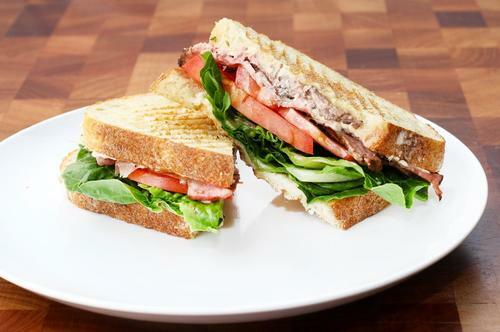 Grilled flank steak, horseradish aioli, butter lettuce, tomato, and sliced sourdough. 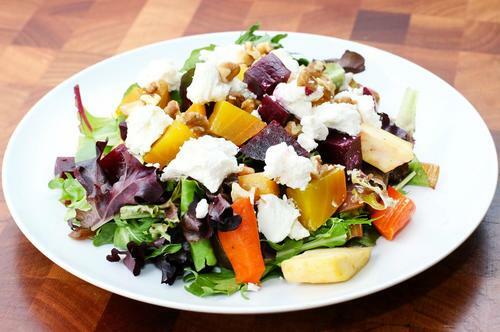 Carrots, parsnips, red and golden beets, grilled onions, Laura Chenel goat cheese, roasted walnuts, and balsamic vinaigrette. 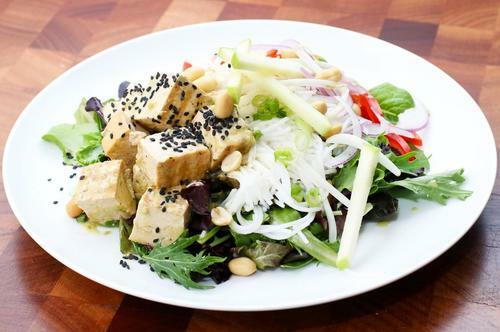 Mixed seasonal lettuce, jalapeno marinated tofu, rice noodles, granny smith apples, roasted peanuts, mung bean sprouts, scallions, red onions, black and white sesame seeds, red peppers, and citrus-soy vinaigrette. 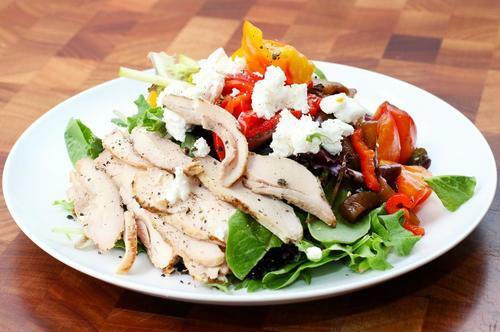 Petaluma chicken, Laura Chenel goat cheese, roasted red peppers, grilled onions, tomato, granny smith apples, and champagne-apple vinaigrette. 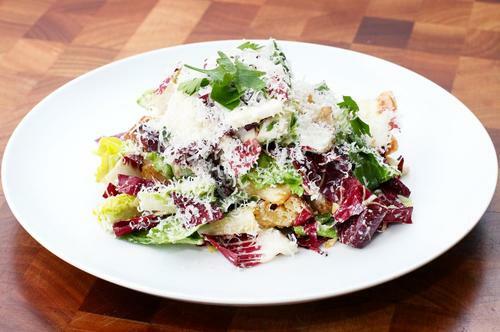 Little gem lettuce, mixed chicory, sourdough croutons, parsley, and shaved Grana Padano cheese, tossed with house made Caesar dressing. 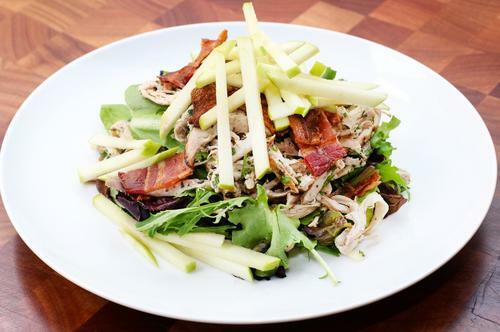 Chicken seasoned with extra virgin olive oil, lemon, thyme, basil, served with applewood smoked bacon, granny smith apples, and champagne-apple vinaigrette. 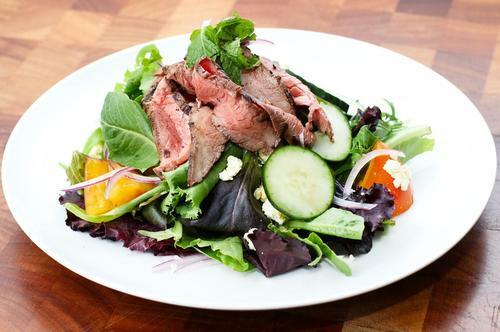 Grilled flank steak, shaved red onions, mint, cucumbers, tomatoes, feta cheese, and balsamic vinaigrette.